Restoring 400 acres of estuary land is not a mediocre task and has required years of dedication from many groups. The complexity of the restoration project has spanned fourteen years and is nearing completion. With just over a year left in the project the, the final stage is to lower the southern levee and remove the tide gate. The tide gate and levee drain the fresh water from the land and prevent any water from flowing back into the estuary. 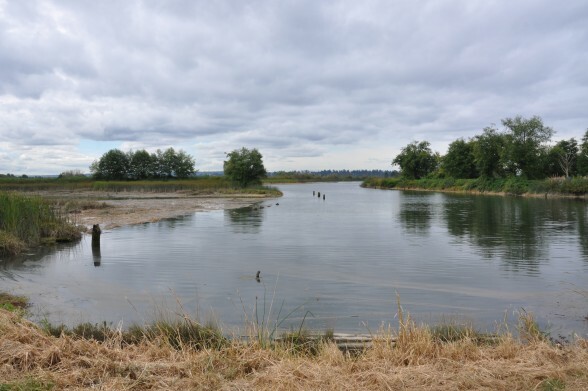 With the completion this winter of the setback levee on the western side, the southern levee, which runs along the northern edge of Ebey Slough, will be breached and the tide gate removed allowing the saline and fresh water to mix. The Tulalip Tribes, along with the City of Marysville, Army Corps of Engineers, National Oceanic and Atmospheric Administration, U.S. 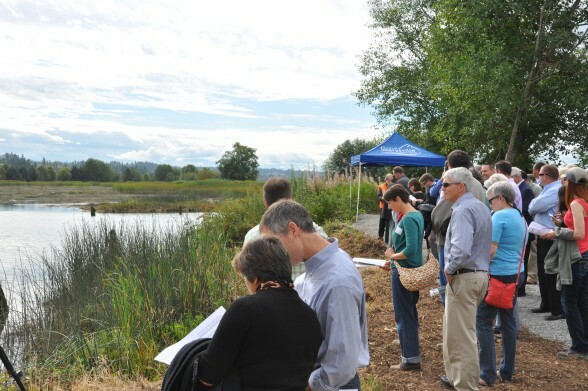 Fish and Wildlife, Washington State Department of Ecology, and the Natural Resources Conservation Service have collaborated on this project and representatives were invited along with local and state politicians to view the progress that has been made. Visitors were led into the estuary and taken on a brief walk to view the channel opening. Afterwards they were invited to the Hibulb Cultural Center for lunch and a discussion the estuary project in its final stage. The restoration’s completion is expected to increase the salmon and migratory bird population and bolster the native vegetation in the area. 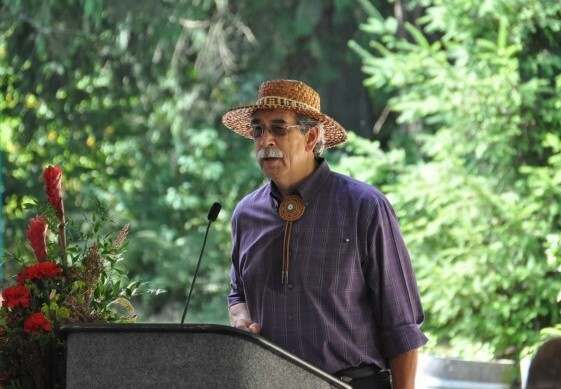 This entry was posted in Environment, Local News, News, Tulalip News and tagged Hibulb Cultural Center & Natural History Preserve, Qwuloolt Estuary Restoration Project, Tulalip by admin. Bookmark the permalink.